Layered silicates; nanocomposites; rheological modifier; drug delivery; waste water. 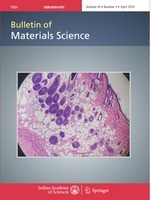 An overview of nanoclays or organically modified layered silicates (organoclays) is presented with emphasis placed on the use of nanoclays as the reinforcement phase in polymer matrices for preparation of polymer/layered silicates nanocomposites, rheological modifier for paints, inks and greases, drug delivery vehicle for controlled release of therapeutic agents, and nanoclays for industrial waste water as well as potable water treatment to make further step into green environment. A little amount of nanoclay can alter the entire properties of polymers, paints, inks and greases to a great extent by dispersing 1nm thick layered silicate throughout the matrices. The flexibility of interlayer spacing of layered silicates accommodates therapeutic agents which can later on be released to damaged cell. Because the release of drugs in drug-intercalated layered materials is controllable, these new materials have a great potential as a delivery host in the pharmaceutical field. The problem of clean water can be solved by treating industrial and municipal waste water with organoclays in combination with other sorbents like activated carbon and alum. Organoclays have proven to be superior to any other water treatment technology in applications where the water to be treated contains substantial amounts of oil and grease or humic acid.